Bluefish444, manufacturer of the professional video industry’s highest-quality uncompressed 4K SDI, ASI, Video Over IP & HDMI I/O cards and mini converters, announces support for zLense zKey 3D keying system with the Bluefish444 Epoch video I/O card range. 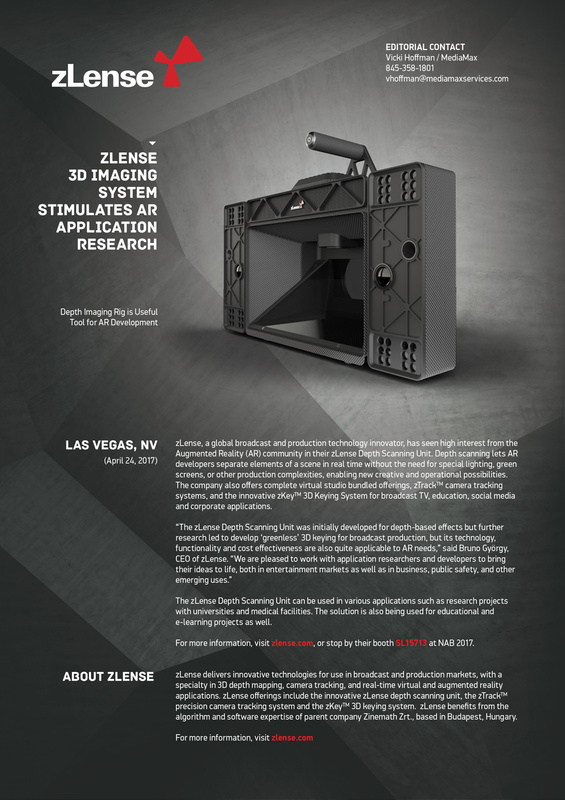 zLense’s zKey™ 3D keying system uses depth information to separate the foreground talent from the background, creating an alpha channel in real time. Bluefish444 Epoch video cards capture uncompressed HD-SDI video from the camera and the depth information from the zKey™ hardware. The captured depth information and the video are processed by zKey™ software, an alpha channel is generated, and both are played out as 4:2:2:4 fill and key SDI. ZLense has won the News Technology Award at the News Technology Summit organized by TV Technology and Broadcasting&Cable magazines. Awarded companies include Canon, Blackmagic, Vizrt among others.